JUVÉDERM VOLBELLA® XC in Washington, D.C.
Having someone with the expertise of Dr. Melda Isaac perform your lip injections at her Washington, D.C. practice is important because she creates results that look natural, avoiding the “overdone” look that can follow lip augmentation performed by less-skilled injectors. JUVÉDERM VOLBELLA is uniquely formulated specifically for the lips to subtly enhance their appearance. 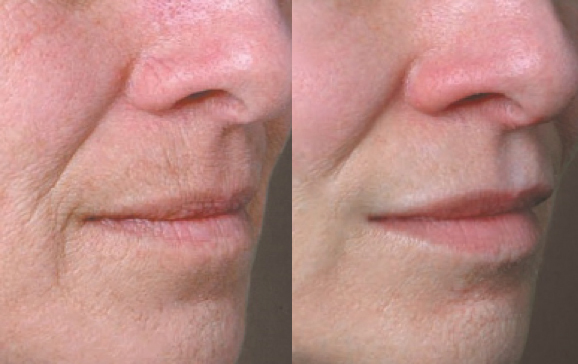 VOLBELLA is a hyaluronic acid-based filler developed specifically for the lips and the area around the mouth. Hyaluronic acid is commonly used in fillers and occurs naturally in the body, which means that there is virtually no chance of infection. JUVÉDERM’s hyaluronic acid (HA) products are known for their soft gel formulation, and VOLBELLA has a lower concentration of HA than other JUVÉDERM fillers. That makes it better suited for adding volume to thin lips and to smooth the fine lines that can develop around the mouth. Choosing Dr. Isaac for your Allergan treatments? Smart! Allergan's Brilliant Distinctions® program makes it easy to save on BOTOX®, JUVÉDERM®, CoolSculpting®, and other eligible treatments, as well as LATISSE® and SkinMedica® products. Getting started is simple; just sign up online. Who Can Benefit from VOLBELLA? Combining VOLBELLA injections with other fillers or BOTOX® Cosmetic can restore a more youthful look to other areas of the face, such as the cheeks, around the eyes, and forehead. The most common side effects patients experience include swelling, tenderness, bruising, redness, and firmness in the treatment area. In the majority of cases, the side effects are mild or moderate and resolve on their own. There is no downtime associated with VOLBELLA treatments. It takes about 15 to 30 minutes to complete the actual injections, but you should plan to arrive about 30 minutes before the appointment to allow time for the numbing cream that’s applied to take effect. The topical cream helps minimize discomfort. One of the benefits of hyaluronic acid fillers is that a substance called hyaluronidase can partially or completely dissolve HA. That includes VOLBELLA.